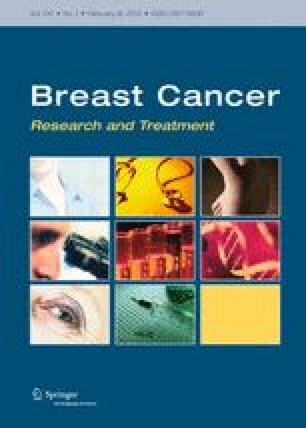 Overexpression of epidermal growth factor receptors (ErbB) is frequently seen in inflammatory breast cancer (IBC). Treatment with ErbB1/2-targeting agents (lapatinib) mediates tumor apoptosis by downregulating ErbB1/2 phosphorylation and downstream survival signaling. In this study, using carboxy-H2DCFDA, DHE, and MitoSOX Red to examine changes in hydrogen peroxide radicals, cytoplasmic and mitochondrial superoxide, respectively, we observed that GW583340 (a lapatinib-analog) increases reactive oxygen species (ROS) in two models of IBC (SUM149, SUM190) that are sensitive to ErbB1/2 blockade. This significant increase in ROS levels was similar to those generated by classical oxidative agents H2O2 and paraquat. In contrast, minimal to basal levels of ROS were measured in a clonal population of GW583340-resistant IBC cells (rSUM149 and rSUM190). The GW583340-resistant IBC cells displayed increased SOD1, SOD2, and glutathione expression, which correlated with decreased sensitivity to the apoptotic-inducing effects of GW583340, H2O2, and paraquat. The ROS increase and cell death in the GW583340-sensitive cells was reversed by simultaneous treatment with a superoxide dismutase (SOD) mimic. Additionally, overcoming the high levels of antioxidants using redox modulators induced apoptosis in the GW583340-resistant cells. Taken together, these data demonstrate a novel mechanism of lapatinib-analog-induced apoptosis and indicate that resistant cells have increased antioxidant potential, which can be overcome by treatment with SOD modulators. The authors would like to thank Sharon Peplinski for her technical help with flow cytometry-based experiments and Dr. Neil Spector and Dr. Michael Morse for helpful discussions during the preparation of the manuscript. This work was supported by funding from American Cancer Society RSG-08-290-01-CCE (GRD), Department of Defense Predoctoral award, W81XWH-08-1-0363 (KMA), Viral Oncology Training Grant, 5T32-CA009111-32 (JLA) and SPORE in breast cancer grant (5P50-CA068438) at Duke Comprehensive Cancer Center. All authors state that there is no conflict of interest.